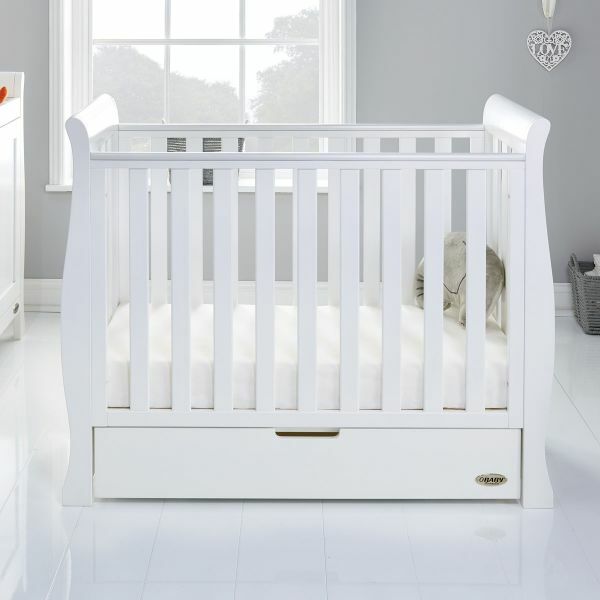 The OBaby Stamford Luxe Sleigh Cot Bed is the perfect centrepiece for any nursery. 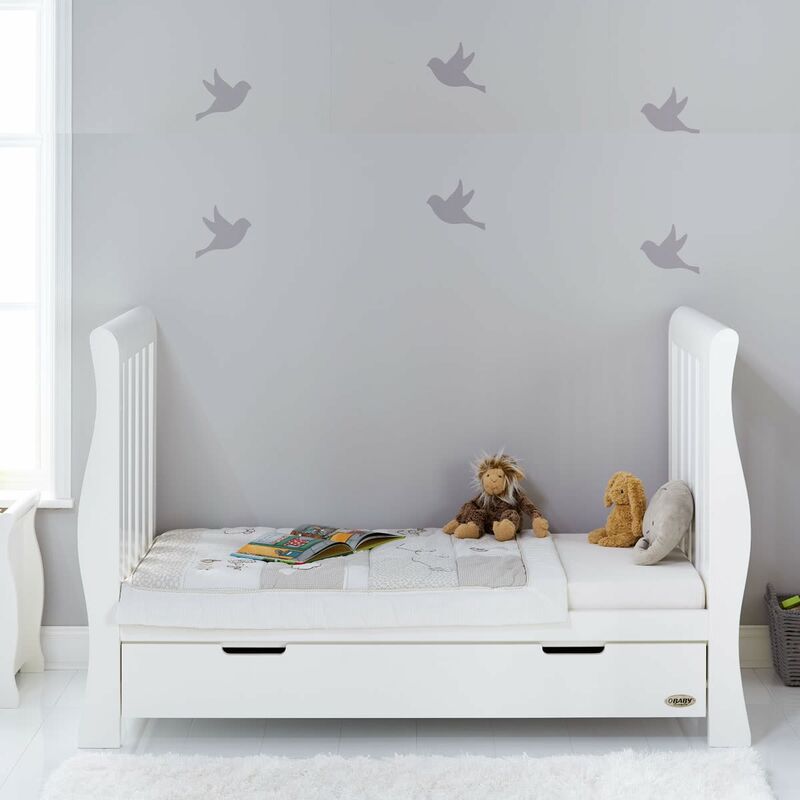 Ideal for a newborn, the cot is designed to grow with your child and transforms into a toddler bed (you can use the included side rails for support until they get used to their big bed). Once they have outgrown this, the Luxe can become a useful daybed. 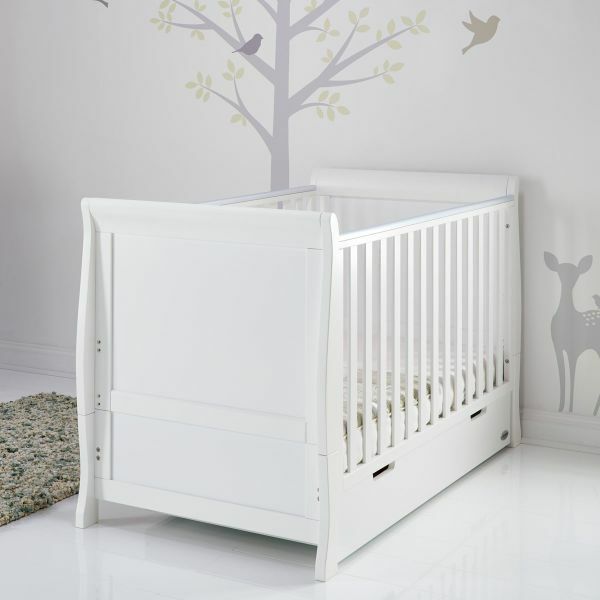 The cot has a three position adjustable base, a teething rail and a drawer which fits neatly underneath and provides valuable extra storage space. 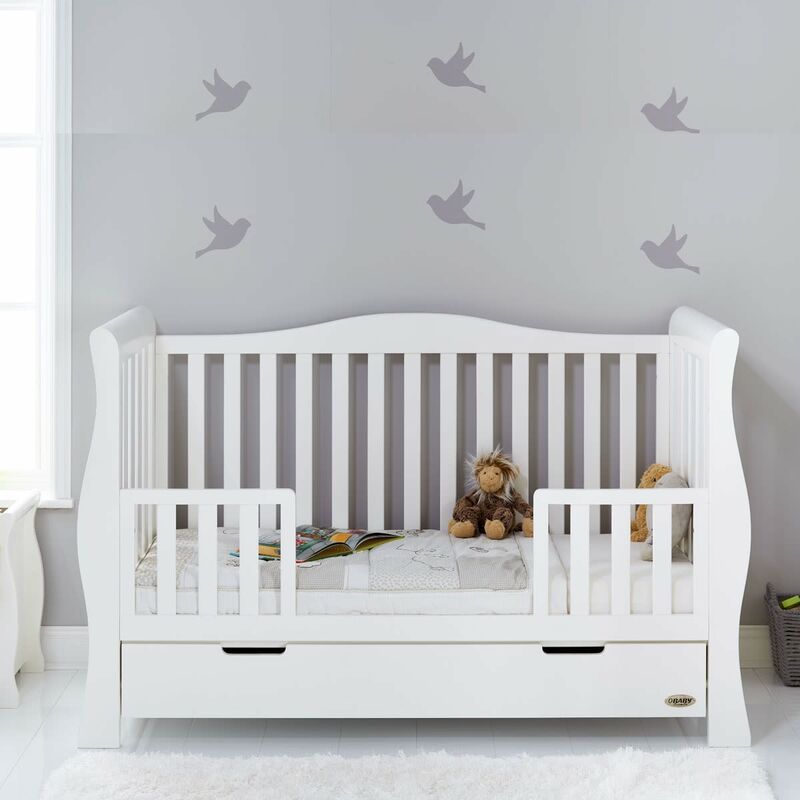 The cot is designed to coordinate flawlessly with the rest of the furniture in the Stamford nursery range. OBaby nursery furniture is a blend of quality, style and reliability. With slatted sides and hand shaped carved end scrolls, the Stamford Luxe Sleigh Cot Bed has a timeless feel and a contemporary finish. 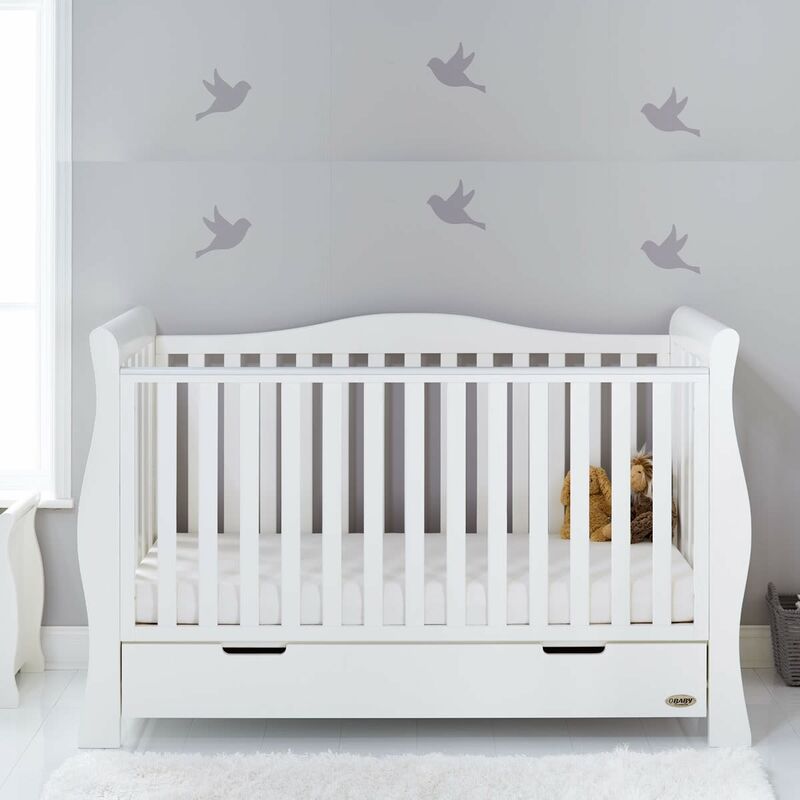 Carefully crafted from solid New Zealand pine, the cot is available in a choice of white, warm grey and taupe grey to compliment any colour nursery scheme. The Stamford Luxe Sleigh Cot Bed requires assembly and is delivered within two weeks. OBaby offer a free 5 year guarantee when you register your purchase with them within 28 days. If you’re looking for a smaller cot, an alternative design is the Obaby Stamford Classic Sleigh Cot Bed.